Much pleased with the peace and good order of the city, the Caliph and his vizir made their way to a bridge, which led straight back to the palace, and had already crossed it, when they were stopped by an old and blind man, who begged for alms. "Yusuf of the Granite Hands has betrayed you and seeks to supplant you upon the throne," the man whispered. "He has issued false orders to your commanders and sent them away from you, and even now rides to spit your head upon a pike. If you return to the palace you will surely be slain." "How do you know this?" asked the vizir in full confusion, for neither he nor the Caliph had suspected any treachery from Yusuf. "Alas! As Yusuf plotted with his lieutenant Arij, the two of them came upon my daughter, lying upon a rock. Seeing her there, Arij struck at her with his sword. Mortally wounded, my daughter sought me out before expiring, and now I have sought you out to assist me. For I would gain my vengeance upon Arij." 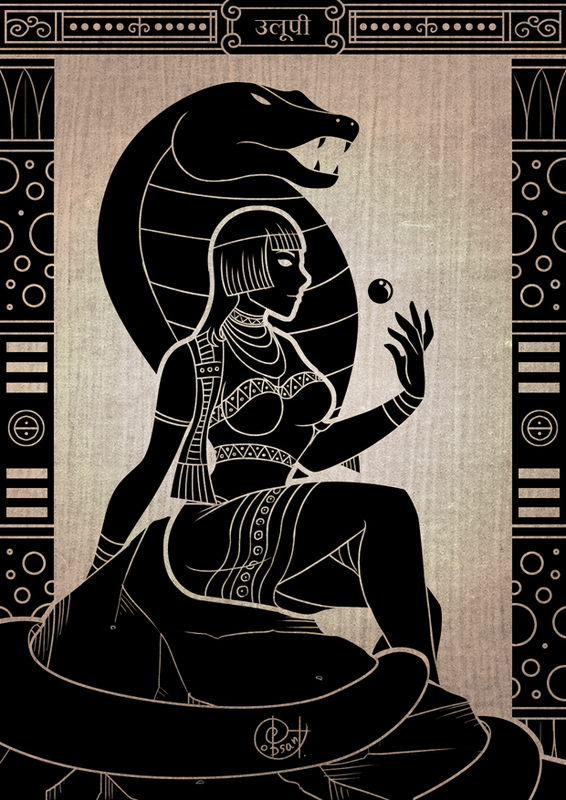 As he spoke the blind man grew and grew, scales covering his body, until a giant serpent with milky eyes coiled in front of the Caliph and his vizir. And thus was the alliance between the Asbari Caliphate and the Takshakeen Naga sealed. Naga attack as fighters but save as clerics of the same level. They have infravision out to 60’. They cast spells from the cleric spell list (or druid spell list, if you use druids in your game). However, replace the 2nd level Charm Person or Mammal with the 1st level Charm Person. Transforming between one form and another takes one round, but also uses up the lowest level spell slot available to the PC. See Zak’s notes on hengeyokai animal forms (no spellcasting in animal form, half hitpoints in animal form, regular animals shun you, etc. ), those apply to the naga’s snake form. They are unable to use armor and instead have a base AC which improves slightly over time (see table below). At 3rd level they can breathe normally in water. At 5th level, their bite in snake or hybrid form causes paralysis for 1d4 turns (save vs poison at +3 negates). 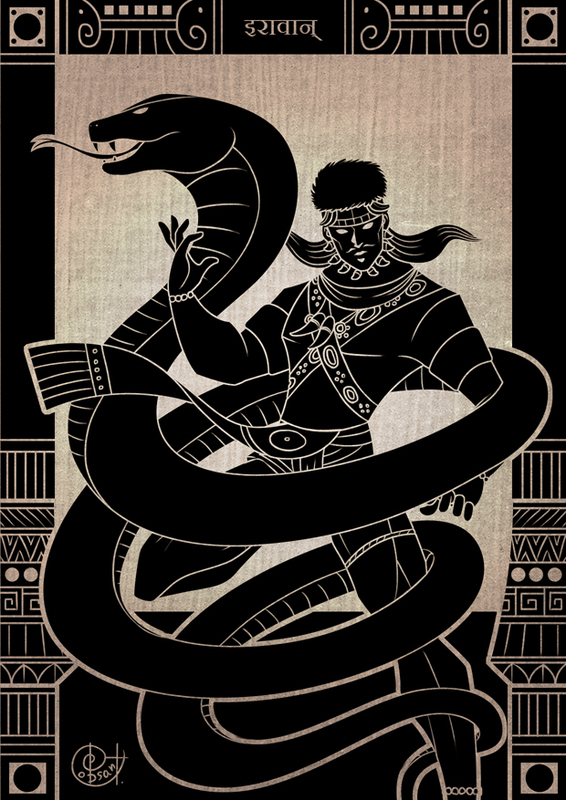 Upon their death, a naga’s spirit is automatically reincarnated elsewhere in the world; a PC cannot be brought back through raise dead, resurrect, or reincarnate.